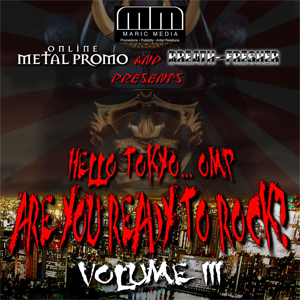 ONLINE METAL PROMO (United States), BREATH FRESHER webzine (Japan) and MARIC MEDIA (Australia) have joined forces to offer a free online digital download promotional music compilation titled Hello Tokyo...OMP, Are You Ready To Rock? featuring 53 songs from some of the hottest established and rising rock / metal bands from the United States and Australia. Download the free songs, compilation artwork and track listing HERE.